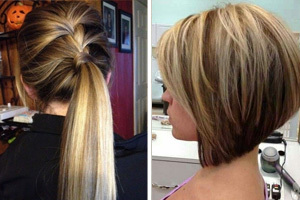 A messy bob is one of the most universally flattering hairstyles for women. Plus, they’re versatile, manageable, and ultra-trendy. 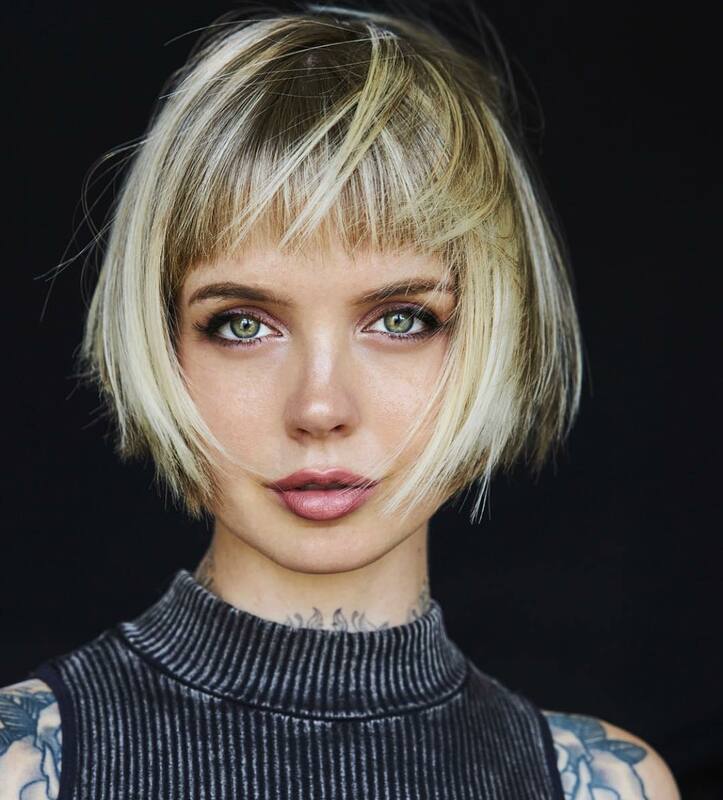 Find inspiration for your next haircut with these ten stylish messy bobs. This rose gold bob is versatile and ultra-trendy. 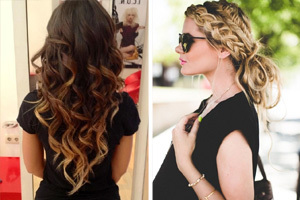 Its can easily transition between a polished pin-straight style and a messy textured style. Its subtle rose gold color adds a modern, stylish finish. The blunt layers of this bob contribute to its versatility without disrupting its texture and volume. 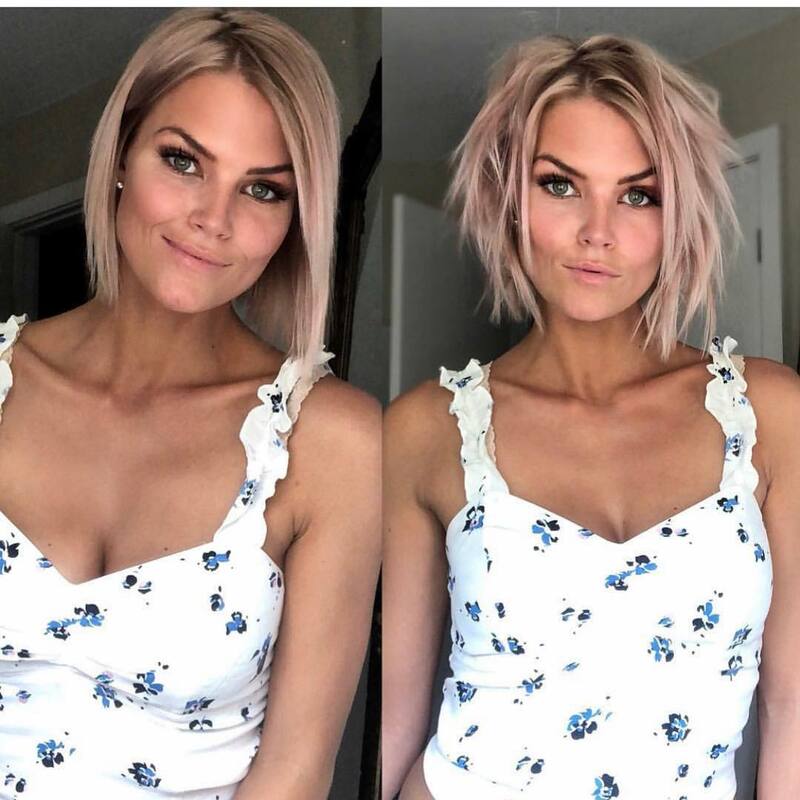 You can easily add volume to this bob and achieve a classic messy bob style using hairspray and a thin curling iron. 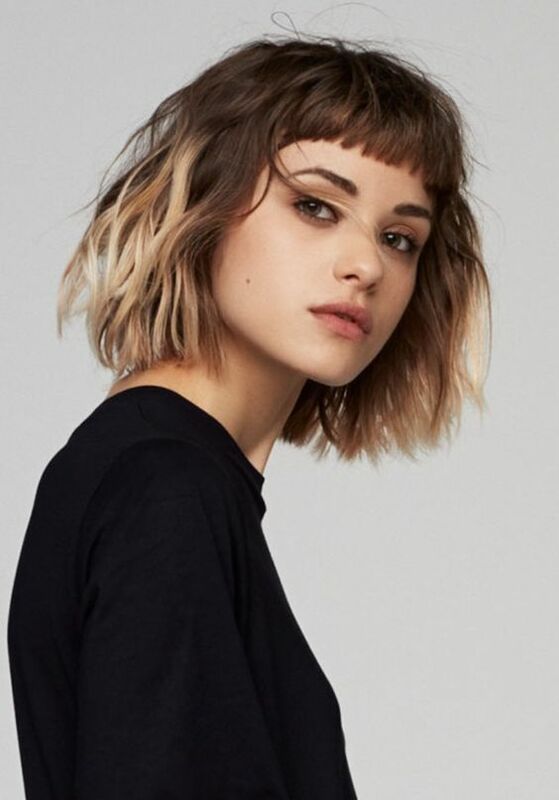 With mini bangs, blunt ends, and ombré coloring, this messy mid-length bob is stylish and unique. Its blunt mini bangs frame and draw attention to your features to keep this textured style from overwhelming and overpowering your face. The brunette to honey blonde ombré coloring of this style make its blunt ends look more subtle and help even out its blunt mini bangs. It also adds interest to this look and gives it a modern, trendy finish. This shoulder-length bob features blunt ends that give it a polished, modern finish. Its messy style is subtle but adds flattering texture and volume to this style. The balayage in this bob is also subtle. It features gentle highlights that give this style a brighter finish and darker roots that help your hair grow out more evenly and allow you to wait longer between visits to the salon. Frame your face and define your features with this chin-length bleached bob. 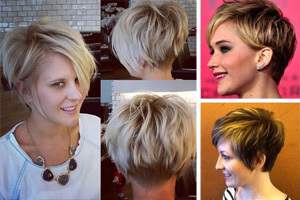 Its cropped, textured layers and short blunt bangs draw attention to your face to emphasize your best features. Its angled, chin-length cut and messy style is bouncy, cheerful and manageable. 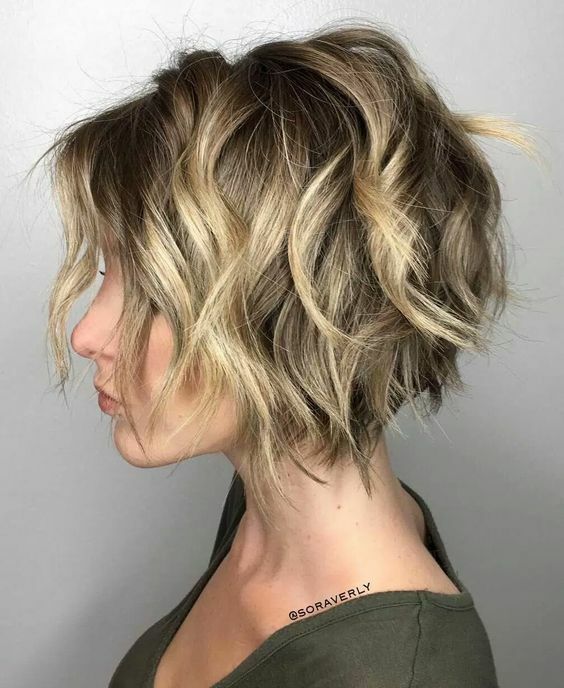 The bleached adds to the lighthearted style of this bob, but its darker shadow roots and blended highlights add dimension and a natural finish. Its darker roots also help you get away with waiting longer between visits to the salon, which saves you both time and money. If you have curly or wavy hair, this textured A-line bob is the perfect short cut for you. 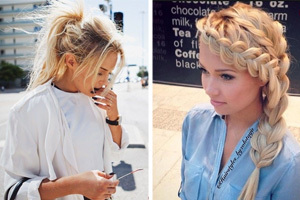 Many women who don’t have naturally pin-straight hair find it difficult to pull off shorter angled cuts successfully. 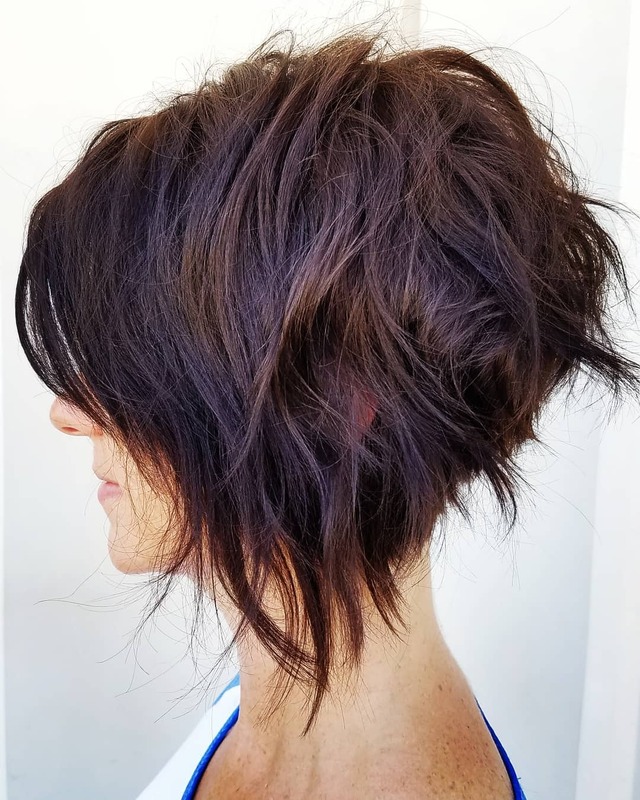 The textured angled layers of this A-line bob are designed to accommodate wavy and curly hair types without requiring a ton of daily maintenance. The wavy back layers add dimension and volume to your hair and are easy to manage, and the longer straight layers in front give the whole style a smooth finish that you can easily achieve in minutes with a flat iron. 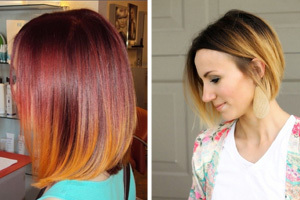 Plus, the rich auburn color of this cut is flattering without being overwhelming. Master beach waves with this wavy bleached bob. 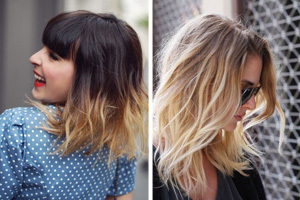 Its bleached ends and shadow roots give this cut a summer-y, carefree style. 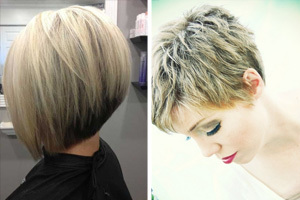 Its textured, layered ends are cropped in a subtle angle to add interest and a bouncy finish to this bob. You don’t have to worry about your hair falling flat with this textured bob style. This cut is ideal for women who have naturally straight or wavy hair. It doesn’t require any heat to style. Just scrunch your hair using a sea salt spray to get the volume and texture you want. Look polished, professional, and trendy at the same time with this wavy honey blonde bob. Its chin-length layers are smooth and even to give this style a sophisticated finish. However, its neat wavy style and highlighted honey blonde color add interest and dimension to this cut to keep it from looking boring. This vintage-inspired curly bleached bob conjures images of style icons of the past with a decidedly modern finish that is in line with current trends. 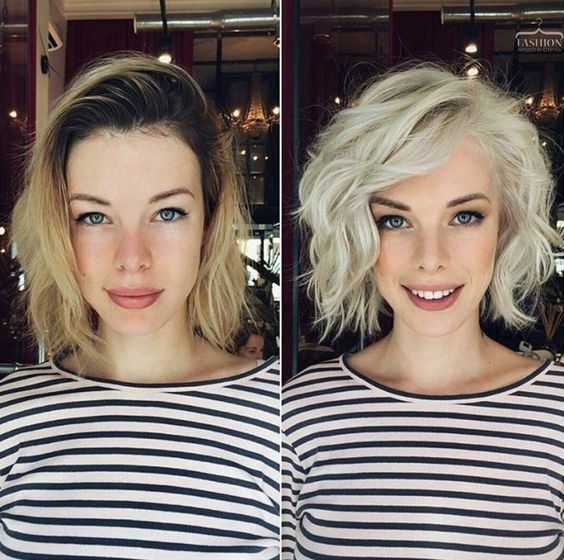 Its white blonde color is striking, but not overwhelming. Its piece-y curled layers add dimension to this style to break up the solidity of its color for an even, balanced finish. Add energy to your hair with this lively chin-length bob. Its bright highlights add vibrancy to this style, while its darker roots and bottom layers give it balance and a natural-looking finish. This bob’s textured, piece-y bottom layers add volume to your hair, and its ringlet curls add polish and professionalism to your style. 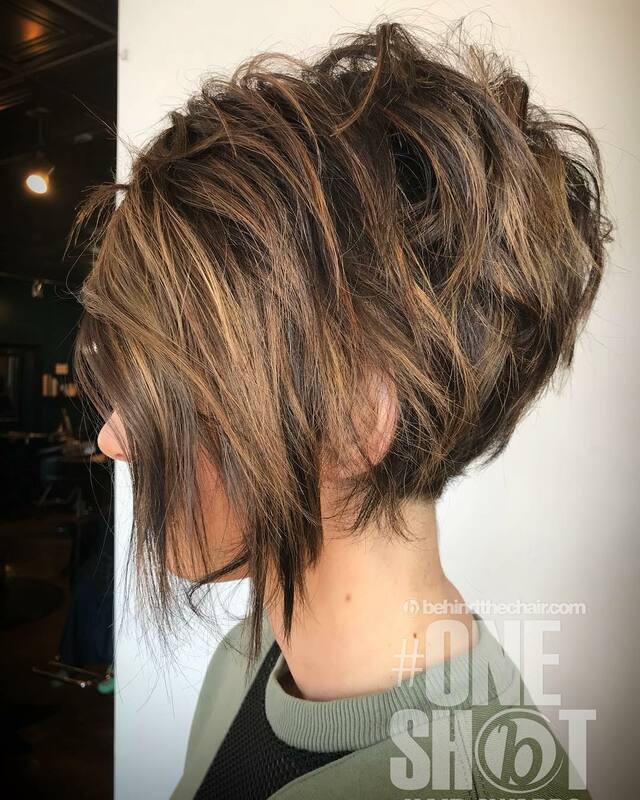 This short A-line bob is both trendy and easy to manage. Its close-cropped back layers are full of volume and texture, while its front layers are longer and straight to give this style a polished finish.